Smart and good looking, the Hyundai Sonata shines as a top choice in the midsize sedan class thanks to its superior combination of intelligent technologies and sleek, modern looks. Of course, it doesn't disappoint when it comes to space, comfort and quiet either, offering a cozy interior that passengers in all seating positions will find accommodating. In their 2016 Hyundai Sonata review, Edmunds.com editors say it's among their favorite midsize sedans because of these and other qualities. If you're shopping for a 2016 Hyundai Sonata in the Dallas metro area, several trim levels are available, including the SE, Sport, Eco, Limited, Sport 2.0T and Limited 2.0T. Additionally, the Sonata Hybrid is offered in SE and Limited trims. On gas models this year, several changes have taken place. A new touchscreen infotainment system is standard with Apple CarPlay and Android Auto technology, which makes staying connected on the road simpler and safer. Pair a compatible mobile device and you'll have access to your phonebook, maps, music and other apps. Also this year on gas-only Sonatas, the rearview camera has been made standard on all models and the suspension has been retuned, so you can expect improvements in handling. For hybrid models, the cabin and exterior have been redesigned and 2016 Hyundai Sonata reviews say the revisions have created an overall more premium look and feel. Moreover, the hybrid offers a 10 percent increase in fuel economy thanks to modifications to the hybrid drive system. For more information about these and other changes to the lineup, please contact or visit Van Hyundai in Carrollton, Texas. 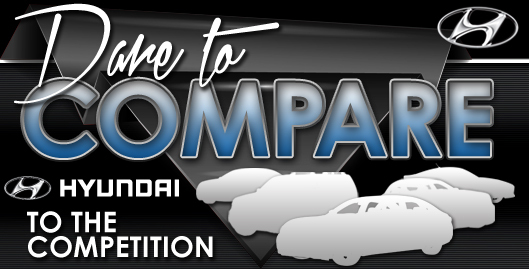 Sonata is a car that's known for offering great value and that tradition continues this year. Aside from its new additions, the sedan's excellent suite of convenience features carry over to the new model. From heated mirrors and cruise control to power accessories and a tilt/telescope steering wheel, Sonata makes every day commutes easy and enjoyable. 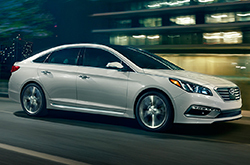 If you'd like to test drive a new 2016 Hyundai Sonata in the Dallas area, visit our dealership in Carrollton to take a spin and learn all about each trim level's standard equipment and many available packages. We're positive that the Sonata is ideally suited for you. That's why we urge you to compare Hyundai's latest model to the 2016 Nissan Altima, Toyota Camry, Kia Optima, Mazda 6 and the Ford Fusion. TX shoppers will be won over by the Sonata's progressive features and budget-friendly sticker price. For Carrollton Hyundai customers who want a fantastic value, just compare this vehicle's price to the vehicles in its segment and you'll see that it's a good investment. Get more useful facts - Browse our Sonata Quick List below this paragraph! 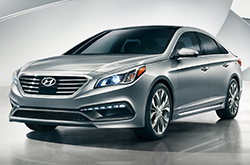 For reviews of the 2016 Hyundai Sonata and previous year models, Van Hyundai is your trusted resource. We stand out from the crowd by offering reviews provided to assist you in your vehicle search. Information you can be sure of to make educated decisions is right here - each passage is filled with practical information and specs. 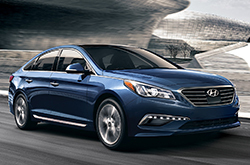 Thank you for checking out Van Hyundai's 2016 Sonata review. Now that you know more about the Sonata, get in touch with us to learn about limited-time dealership offers and OEM incentives that can help you save substantially on your purchase!